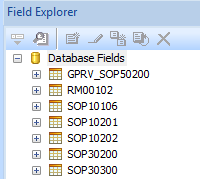 From the May 2010 GP Reports Viewer newsletter comes a tip for renaming the tables (or views or stored procedures) on Crystal Reports. Some may ask why this in needed – I actually use this quite a bit in the following scenario. I often find that I am using one report as a template for another when working with Dynamics GP tables because the table structure is the same for many work, open and history tables. For example, if I am creating two versions of an SOP invoice – unposted and posted – most of the tables and fields are the same except for the two main tables. 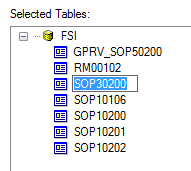 In that case, I just need to change SOP10100 to SOP30200 and SOP10200 to SOP30300. This is pretty straight forward to do in Crystal, however the name of the changed tables will still show with the original name almost everywhere, which can be quite confusing, especially when others may be working on the reports after you are done with them. 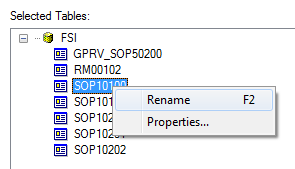 You can change the display name of any table, view or stored procedure on a Crystal Report using the steps below. If you would like to see more tips like this, take a look at our GP Reports Viewer newsletter archive. 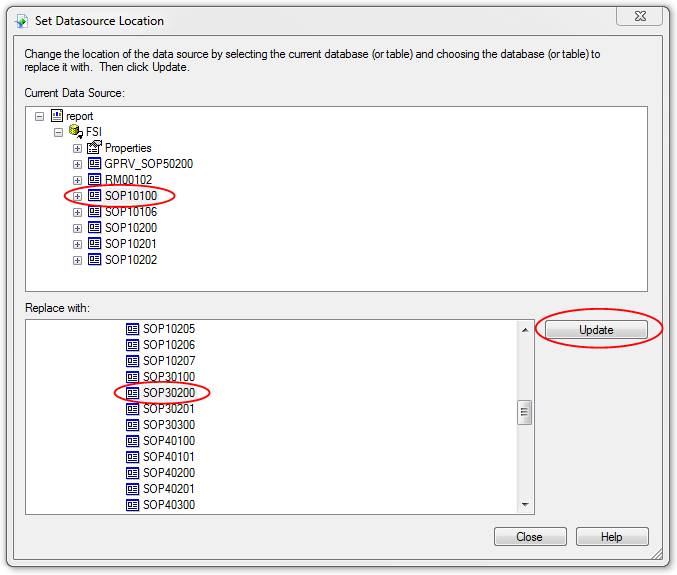 We have recently added a section for SSRS tips to the newsletter, so take a peek at those if you are starting to work with SSRS. If you are looking to print Crystal and SSRS reports in Dynamics GP, check out our GP Reports Viewer. We have demo videos and fully functional downloads available. Thanks, It was very useful to me. Thank you. I used this method to change the use of a view to use a command. Save a major amount of time. Your explanation helped me a lot. Thank you very much for solution, It really helped me lot. When I try this, my new name for the table is reduced to lowercase every time. Is this a bug? Your screenshots would seem to indicate that you found a way around this. 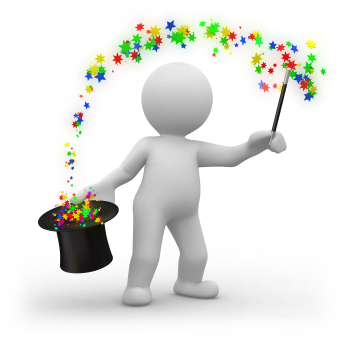 I have never done anything special for this – it just works by following the steps I have outlined. I have definitely done this in Crystal 2008 and Crystal XI with no issue, probably older versions, too, but it’s been a really long time sine I used anything prior to XI. I just tested again with Crystal 2008 SP 2 and whatever I enter (either lower case or upper case) shows up exactly as I enter it. What version of Crystal Reports are you using? I am not aware of any way tp have Crystal always display the actual table name. Otherwise, I would have definitely blogged about that instead of changing the tables one at a time. 😉 If you find something like that, please let me know. Thank you!!! I have spend many, many hours experimenting with this or that, trying to rename the table that serves as the datasource. I felt that there had to be a way to do it, but had just about given up. Thank you for taking the time and trouble to post this solution! Great post! I’ve done this a number of times myself, especially when using a third-party such as Forms Printer’s template Crystal or SRS reports. This post was timely as well, since a client actually was thrown off lately as a view in the Crystal Report she was using appeared to not even exist in the GP database. I’ll foward this post along to her. Had exactly the same situation with a customer, that’s what prompted me to remember this trick. Good to know it’s helpful to others. Hi Victoria. I have Crystal Reports XI user that is trying to change the name of a materialized view on several reports with formulas that reference the view. I’m assuming that following your directions will also change the formulas? (I am not currently using Crystal, so wanted to check before I sent my user the steps you so wonderfully outlined.) Thanks. Yes, all references to the view throughout the report should be updated automatically when you change the name. The scenario that you have mentioned as instance; I have also faced the same thing in my consulting. 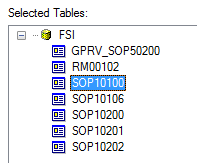 Normally what I have come across is that writing a UNION on SOP10100/SOP10200 and SOP30200/SOP30300 tables and maintain a single report. But in such cases, the performance is often degraded, if especially it has to go thru’ all records in these tables. One reason developers point out (including me till now): Maintaining two reports for same kind of document is very difficult. Nevertheless, this tip is quite handy. 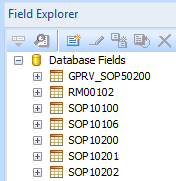 Victoria Yudin brings reporting tips on renaming tables in Crystal Reports ….